We’ve made yet another trip around the sun, it’s time to reflect on the year behind us as well as look forward to the year ahead. And that kind of stuff build up an appetite! 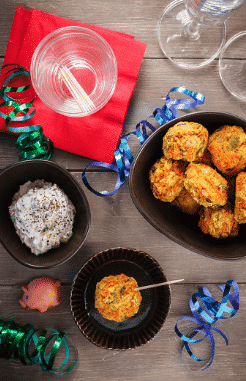 This New Year’s Eve celebrate with some of my tasty treats and enjoy the last party of the holiday season! Check out my menu of vegan new year’s eve recipes! Wishing you and yours a very Happy and Healthy New Year!!!! !